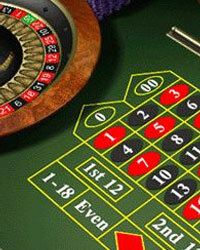 The player begins by staking a single unit for every bet. Once he wins, he will keep betting a unit, but the progression starts once a player actually loses this unit. This particular system deals with a certain progression where you can bet your last betting sum. It shouldn't be put to use too infrequently and only small bets should be made for fun. This system will win and lose sometimes, which you will find out after you bet a little high after multiple losses. Be careful, though; this particular system wasn't made for those with a faint heart and if you're smart, you should limit your use of it. It can also be used for craps, by the way. What is the Fibonacci System? The Fibonacci system revolves around the sequence of Fibonacci, a well-known numerical sequence that Leonardo Bonacci came up with. This numerical sequence always has a new number that becomes the sum of whatever the previous bets were..
Players searching for brand new strategies of betting began to put the Fibonacci series to use through the Fibonacci system. The idea behind this system was fairly simple: whenever a loss occurred, each bet would be the overall sum of two former bets. For instance, you begin with a $1 bet. Stay with this bet until you actually win. If you lose once, bet another $1. If you end up losing yet again, keep going with the series with the following being a $2 bet. If you keep losing, you need to keep going with this series, so that when you win, you can recover all of those losses and begin again with a single $1 bet. This system is also applicable to odds/even bets such as player/banker at baccarat; black/red, odd/even, low/high at roulette; and don't pass/pass or don't come/come bets during craps.